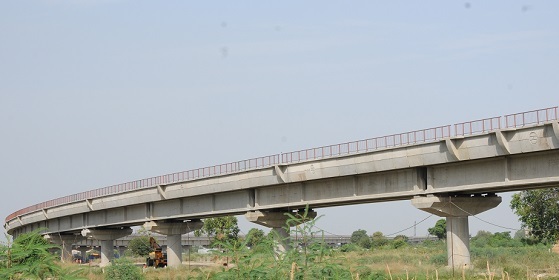 2.71 Km long Elevated Viaduct at Sarai Kale Khan for DMRC, New Delhi | SP Singla Constructions Pvt. Ltd. Launching of 100MT I-Girder carried out using 2 150 Ton Cranes upto a height of 18m.